Upon entering our doors, you will feel at home. The sound of a trickling fountain or the warmth of a crackling fire will put your spirits at ease. 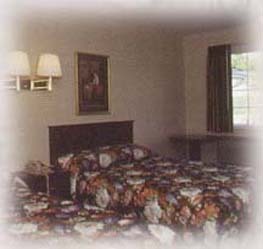 The Osage Village was designed to suit those searching for the quaintness of a Victorian Inn with the quality standards of today's chain hotels, all at a competitive rate. Being family-owned, we extend genuine hospitality to each and every guest. In the morning, we invite you to join us for continental breakfast in our lobby. An array of bagels, muffins, danishes, cinnamon rolls, and breakfast pastries are served along with juice and coffee. 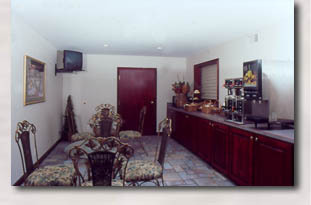 We offer a variety of rooms to cater to the different needs of our guests. Our deluxe rooms have 1 king or 2 queen beds and are decorated in warm, inviting tones of burgundy and hunter green. 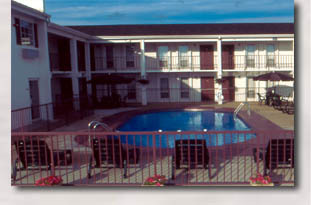 For larger families, we have suites available for accommodating 5 or more. refrigerator, and an in-room two person Jacuzzi surrounded by mirrors. Rest and relaxation are free to those who wish to enjoy our pool. For those of you who come to the lake to shop, don't forget our location. We are conveniently located right beside the Osage Beach Premium Outlets® which houses over 110 great stores. Because of all this, we book quickly, so don't hesitate in making your lodging accommodations with us by calling (573) 348-5207.